Marking Umphrey’s McGee’s first release on ATO records, Death by Stereo plays like a blast from the past while simultaneously providing a glimpse into the future direction of the now established Chicago six-piece. The album, released on September 13th, finds the band digging deep sonically with fresh originals coupled with reworked classic tunes that’ve helped fill the Umphrey’s catalog for years. 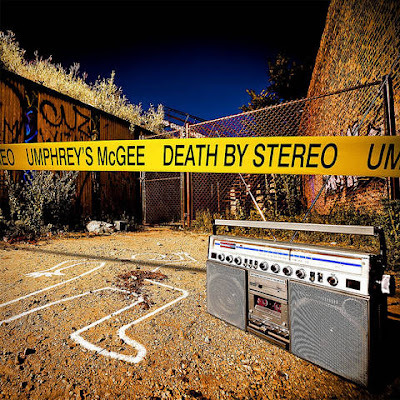 Death by Stereo is certainly the band’s most polished studio work to date as any Umphrey’s fan, young or old, will find enjoyment at some point during the album. There’s a pop sensibility throughout the listen that is evident as immediate as the first track, “Miami Virtue”. It’s clear that the band is reaching for a more radio-friendly sound, but Umphreaks should fear not; there’s plenty of old school school goodness on Death by Stereo. For those who are into the band’s former approach, takes on “Search 4”, “The Floor”, and “Hajimemashite” are all worthy of your time. Most notable about the album is the difference in songwriting tendencies among the tracks. 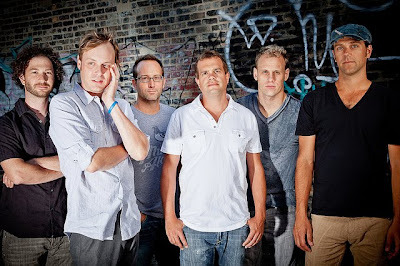 Make no mistake... Umphrey’s is heading in a new direction with its craft, and in that regard, Death by Stereo is a successful segue that will not only bring in newer fans but please those who’ve been with them from the start. For Death by Stereo purchasing options, go to http://www.umphreys.com for details.